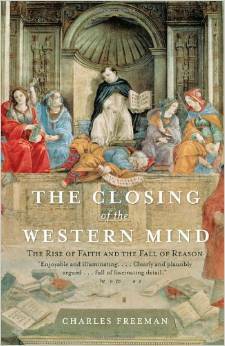 Freeman, C., The Closing of the Western Mind: The Rise of Faith and the Fall of Reason. Vintage Books. New York, 2005. 432 pages. Illustrations (paperback). The Boston Globe found this book “enjoyable and illuminating…clearly and plausibly argued…full of fascinating detail.” Someone at the Washington Times wrote the blurb, “There is much to admire…It is a panoramic view that Freeman handles with grace, erudition and lucidity.” Interesting comments considering that the book is lacking in all the basic elements of scholarship, including objectivity. To confirm that this criticism is warranted, we want to look in greater detail at those parts of the book that are most important to Orthodox Christians: Jesus, St Paul, Constantine and the Christian Roman Empire, the Councils and the formation of Christian doctrine, Eastern Christianity and the Emergence of the Byzantine Empire. I cannot help but think that the adulation poured on this book suggests that its reviewers have abandoned all their intellectual values. Did they not see that as a historian Freeman should know some foreign languages — and for the subject at hand, at least, some Greek and Latin. He seems not even to have glance at the primary sources. With nearly twelve pages of bibliography containing nearly three hundred titles, virtually all its authors are modern writers on whom he depends for his quotations of ancient and patristic sources. As far as the Fathers are concerned, one would expect that he would show at any rate an acquaintance with the celebrated Migne’s Greek/Latin Patrology, for example. He did not. Neither did he bother to consult Ante-Nicene, Post-Nicene Church Fathers, The Fathers of the Church, Ancient Christian Writers, all English translations of their writings. Moreover, his ignorance on such matters, leads Freeman to throw all Christian writers (even heretics, such as Origen of Alexandria) on the patristic roll; or, more likely, he does not care who the Church has identified as her spokesmen. He pays no heed to the thinking of the Fathers, nor to the nature of their arguments. This same ignorance haunts his Scriptural quotations which, as Freeman states, are drawn from the loosely translated Jerusalem version (interpretation) of the Bible. Apparently, not knowing Greek he could not verify the accuracy of it. His ignorance of — if not indifference — to the context of his Biblical citations is ludicrous. Freeman gives little attention to the difference between the literal (historical), typological (prophetic) and allegorical (metaphorical) methods of interpretation. Not having read the Fathers, he has no knowledge of their exegesis (explanation) of the Old and New Testaments. In addition, he seems unaware of how many words the Greek language has for the word “knowledge,” especially gnosis which the heart (kardia) or mind (nous) utilizes in the apprehension of things spiritual, privileges denied to “reason” (logos, ratio) or “dialectics.” Professor Freeman defines rational thought (or “wisdom”) as “inductive reasoning, the formulation of ‘truths’ from empirical evidence” (xv). In other words, “theories must be the servant of facts” (whatever they may be). Curiously; he adds that reason is tolerant, meaning that “No authority can dictate in advance what can or cannot be believed or there is no possibility of progress” (xvi). How strange, since there is nothing more intolerant than the truth. If nothing else, Freeman’s analysis of early Christian history rests on the assumption that the Church is a purely human institution, the Scriptures albeit influential was ordinary religious literature, and the Fathers as “a group of early Christian writers whose views on doctrinal matters carried special weight” (p. 108). In other words, he denies the existence of divine revelation — the irruption of “the one true God” into time and space, into the history of man for his salvation; hence, the absence of such words as “grace,” or respect for the ideas of “miracle,”(“which has no place in sophisticated thinking” [p, 77]), “mystery” and “theophany.” Accordingly, Freeman rejects any notion that the Church is the infallible instrument of the divine Will and guardian of the gospel, the Bible as the inerrant word of God, and the Fathers as holy men with a special relationship to God. From this it follows that The Closing of the Western Mind cannot be other than what it is; and, consequently, Freeman’s exposition of the life and teachings of the Church must conform, as it does, to his philosophical presuppositions. Judging from his book, it is clear that Freeman views Jesus Christ as a mere man. St John’s idea that Christ was the divine Logos is borrowed from Philo of Alexandria and ultimately Hellenism. The Incarnation has no meaning for him. That Christian doctrine of the Virgin birth is a source of amusement for him. He thinks the case is closed because the Hebrew word used in the Old Testament is almah (“young woman”). Freeman belittles St Jerome’s defense of Mary’s perpetual virginity. The importance of sexual purity is with the monastic movement of the 4th century at which time he presumes the title “Mother of God” was coined. In truth, the word Theotokos first appeared in second century Alexandria, based on the salutation of St Elizabeth to her, “blessed art thou among women, and blessed is the fruit of thy womb. And whence is it that the mother of my Lord should come to me?” (Luke 1:42-43). Freeman seems to agree with the conclusion of most modern scholars that we cannot be certain whether Jesus thought himself to be the Messiah. If I am not mistaken, the Samaritan Woman at the well confessed, I know the Messiah who is called the Christ. When He comes, He will tell us all things. Jesus replied to her, I that speak to you am He” (John 4: 25-26). We should be aware that whenever the Scriptural text or verses betray their conclusion, modern scholars are quick to denounce them as spurious or open to dispute. Whether Freeman has any direct familiarity with the New Testament, he does not disclose in The Closing of the Western Mind. Nevertheless, he is eager to portray Jesus as a mortal with a mighty ambition. We see in Him, Freeman observes, “a growing sense of insecurity” (p. 100), a weakness which eventually led Him to the Cross. Of course, the author gives no credence to the Biblical record that Christ is “the Son of Man,” “the Son of God”; and he has no conception of the Crucifixion as victory over the devil and the Resurrection as the conquest of death. Freeman thinks that “a growing sense of insecurity” (p. 100) led Jesus to take steps that eventually led him to His death. St Paul described this “tragedy” as a “trauma of despair” (p.100). Why, asks Freeman, if Jesus is the Messiah, the Savior of the world, did he end his life in tragedy not in triumph? His answer is simply that His followers offered too many excuses for the “tragedy” and “as might be expected from the circumstances, the Biblical accounts of these experiences are confused and contradictory” (p. 103). In a word, the author (and those “higher critics” of the Bible that he follows) does not recognize a paradox (a “mystery”) when it confronts him. On the Cross, the Lord destroyed death by His death — a tragedy that was a triumph. If Christians believe this, he inquires, why did it take them 400 years to produce an artistic representation of this event? The Closing of the Western Mind has almost nothing to say about iconography — a terrible blunder for an authority on Church history. Many icons are written in times of great controversy. The quarrel between the Church and the heresies that challenged the traditional christology led to patristic and councilor formulations which, in part, she propagated by means of the icon, her greatest form of education; hence, the absence of Crucifixion icon before the 4th century. Freeman is no more astute about this matter than he was on any other religious subject in his book. He is ignorant of the struggle between St John the Theologian and St Ignatius of Antioch’s struggle with the Docetists (Christ’s body a phantom), of St Hippolytus of Rome’s and St Irenaeus’ refutation of this and other heresies, of St Methodius of Olympus’ attack, among other things, upon the Docetism of Origen, Athanasius’ polemic against the Arians who denied the eternity of Christ. With eager approval, Freeman quotes the historian, Richard Hanson, “Indeed until Athanasius began writing every single theology, east and west, had postulated some form of Subordinationism (Christ as a “lesser God”)…” (p. 164). Ideology closes the eyes scholars to verifiable truth. There is one more comment — an illustration of unforgivable ignorance —to be made before we move on to another subject. On page 261 of his book, Freeman asserts that during his struggle with the heretic, the Patriarch Nestorius of Constantinople, St Cyril eventually came to the conclusion that “the human nature of Jesus was subordinate to the divine” (p. 261). Our author not only fails to distinguish between the human and divine Natures of Christ, but that the Church has always taught that His humanity was created (having dwelt in the womb of the Virgin Mary for nine months) and, therefore, “subordinate to the divine.” He does not know that St Cyril was looking for a formula that would best define the relationship between the two natures of Christ so that the idea of deification might not be lost. For Freeman the dispute between “these two theologians” was no more than a power struggle. Freeman delights in re-writing the history and doctrine of Christianity. He espouses the opinion of not a few modern historians: St Paul is “the true founder of Christianity.” (chap. 9). His mistreatment of the man and his work is astonishing (but certainly not original). We are told that the Christ of Paul’s epistles is not the Christ of the Gospels, if only because he never read them. Only the Gospel of St John was written after his death in 65 BC. He might very have read them; but even if he had not, his information about the Savior came from the Apostles as well as personal revelation. He more than once urged Christians to “stand fast and hold the traditions which you have been taught whether by word or our epistle…” (2 Thess. 2:15). The New Testament Scriptures, divinely inspired as they are, are merely a transcription of “the Faith once delivered (traditae) to the saints” (Jude 3): by word of mouth Christ “delivered” the Faith to the Apostles they to the Church (Matt. 28: 16-20) under the ceaseless protection of the Holy Spirit (John 16:13). For Professor Freeman such a claim is religious nonsense. He prefers to believe that Paul tried “to formulate new conceptions of Christ, and Christ’s meaning, in volatile situation.” Put another way, “he adapted his Christology to the moment” (p. 107). It may be said that it is not everywhere clear in his epistles that he believed that Jesus had been preexistent from the dawn of time” (p. 116). His singular revelations from God authorized him to reconceive the Christian Faith. He was convinced that he alone was proclaiming what God wanted him to teach. He was the Lord’s spokesman (he was chosen by Christ on the road to Damascus); yet he was “desperately afraid of any competition.” He resented rival Christian preachers and in his anxiety, Paul “boasts, cajoles, threatens, and pleads his case, claiming that because of his hard work and suffering for the cause, he deserved to be seen as the foremost of the Apostles” (p. 14). While Freeman declares that the holy Apostle utterly lacked humility, Paul called himself “chief of sinners” (p. 116). It is a humility which contradicts Freeman’s thesis that Paul is the true founder of Christianity. He is a member of the Body of the Risen Christ, the Church (Eph.5:30-33); or, in other words, “I have been crucified with Christ, and it is no longer I who lives but Christ lives in me, giving Himself for me” (Gal. 2: 20-21). He knows, too, that He is the “Son of God” (mentioned 17 times), the “Savior” (mentioned 13 times), that He was God who “emptied Himself” and became a sinless human being” (Phil. 2: 5f; Rom. 8:3), born of a woman (Gal. 4:4), of the seed of David (Rom 1:3). St Paul “was determined not to know anything among you save Jesus Christ” (I Cor. 2: 1-2). He would not think of himself as anything but “a minister according to the dispensation of God” (Col. 1:25). Considering these facts, I am at loss to understand how Freeman can assert “that stressing faith in Christ does not involve any kind of identification with Jesus in this life earth, but has validity in his death and resurrection” (pp. 112-113). All that he has said about his relationship with Christ has no purpose but “the fulfillment of his own psychological needs” (p. 113), which involves his guilt concerning his Jewish roots, the very “roots” which account for so much of his theology. According to Freeman, Paul’s belief in the imminent return of Christ was grounded in those “roots.” He is as wrong about Pauline eschatology (a future event) as he is about the ecclesiology of the Apostle. Christ built His church against which sin and death cannot prevail (Matt. 16: 18). Yet, there is some truth in what Freeman says about the Jews and Greeks. They are “tutors unto Christ,” “preparations for the Gospel.” They prepared the world for the Lord’s Coming with such ideas as “Logos” and “Messiah.” At the same time, St Paul says, “For it is written, I will destroy the wisdom of the wise, and will bring to nothing the understanding of the prudent? Where is the wise? Where is the scribe when is the disputer of the world? Has not God made foolish the wisdom of the world? For after that in the wisdom of God, the world by wisdom to know God, it pleased God by the foolishness of preaching to save them that believe. For the Jews require a sign, and the Greeks seek wisdom; but we preach Christ crucified, unto the Jews a stumblingblock and folly unto the Greeks…” (I Cor. 19-23). Freeman has no understanding of these words and, therefore, characterizes St Paul’s “wisdom” as anti-reason. He demands “faith” (“the Faith”) to the prejudice of scientific and philosophical thought. But Paul confesses that he is indebted to the Greeks (e.g., he quotes their poets) and the Jews (from whom he draws types and prophecies), who play an important role in his explanation of the Christian. It is a pity that Freeman does not grasp the meaning of Paul’s words concerning worldly wisdom, that is, that the salvation of God is incomprehensible by sinful man with his defective faculties and instruments of learning. Man needs to be delivered from “the power of darkness” which is possible only by “the mystery which has been hidden from ages and generation, and now is made manifest to his saints: to whom God would make known what are the riches of the glory of this mystery to the Gentiles: which is Christ in you…” (Col. 1:26-27). The superficial treatment given to St Paul is given to the early Councils of the Church. Following conventional scholarship, Freeman links their decisions with the influence of Greek philosophy and the intimidation of the Christian emperors. There is no better example of this than the Council of Nicea (325). If we are to believe Freeman, the Council was called by Constantine the Great who, according to Eusebius of Caesarea’s Life of Constantine, was the image of the supreme God. 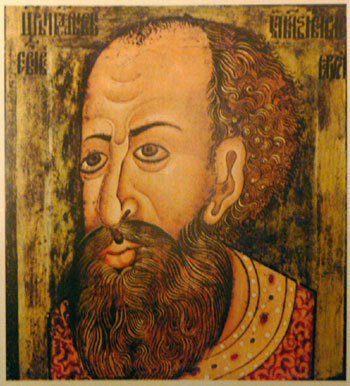 He ruled over Church (image of Christ) and state. In this case, he was ruler of “church” and “state,” a position justified by God Himself. Marching with his army to Rome, he saw a cross of light with the Greek words en touto nika. The meaning of this prodigy Christ explained in a dream: “by this sign conquer.” Adopting these words as his motto, Constantine defeated his enemies and became sole ruler of the Roman Empire (324). Of course, “the imposition of orthodoxy went hand in hand with stifling independent thought” (xviii). Freeman offers a fabrication of history. To be sure, Constantine assembled bishops from all over the empire (ecumene) at the Anatolian city of Nicea. He sat opposite the Patriarch at all sessions. His advisor was the illustrious Church Father from Cordova (Spain), St Hosius. The Creed that the Council composed was indebted to Plato and Hellenism, as Freeman thinks. Surely, much of the language came from Greek philosophy; it was the language of the contemporary culture, a precise language, the natural way of communication. What the members of the Council formulated was the teachings of the Apostolic Tradition. Of course, our author has a different understanding of the Creed’s purpose and accomplishment. First, he does not believe that there was one Lord, one faith, one baptism. As most scholars he saw in the early Church the same religious pluralism that afflicts our own time. Thus, when Nicea “imposed” an “orthodoxy” on the Church — via the force of the state — and “severed the Church from its traditional roots” (p. 175). “Nicea had solved nothing” (p.179); in fact it fomented another controversy. In “the pre-Nicene tradition,” Christ the Logos was something les than the Godhead, so when the Creed announced that He was “God from God,” members revolted. Necessarily, then, the formulation of the doctrine of Trinity did not mean that it was adopted by the Church (p. 192). Freeman gives us further evidence that his research was meager. The Council, he said, did not hold the view that Jesus had a separate hypostasis or Personality from the Father, “taking the Creed close to the extreme Sabellian position” (p. 168). I have no idea what “extreme” Sabellianism is. I know that Sabellianism teaches that there is one God who manifests Himself in three different ways, not as three Persons. What connections this has to Christian trinitarianism, Freeman has not demonstrated. The Nicene Creed is divided into three parts: one devoted to the Father, the second to the Son, and the third to the Holy Spirit. We recall, moreover, that it declares that Jesus Christ the Son of God is “begotten of the Father before all ages,” “begotten not made.” Father, Son and Holy Spirit are “one in Essence” (homoiousios), but in three Persons: they are united in Essence, different in Persons. If you like, Essence refers to the immutable Nature of God, whereas God acts eternally through His Personalities. Freeman is not concerned with theological truth — he doesn’t believe in it. “What was it that Nicea was supposed to solve? — presenting the world with a rationally devised theological system” (p. 179). The development of a “theological system” was not the understanding of the Council’s task held by the Orthodox: Sts Athanasius, Alexander of Alexandria, Eustathius of Antioch, Panphanutius of Thebes, Nicholas of Myra, Cecilian of Carthage, etc. They did not see the theology of the Church as “creative” program. I like the words of St Hilary of Poitiers on this matter. “But the errors of heretics and blasphemers force us to deal with unlawful matters, to scale perilous heights, to speak unutterable words, to trespass on forbidden ground. Faith ought in silence fulfill the commandments, worshipping the Father, reverencing with Him the Son, abounding in the Holy Spirit; but we strain the poor resources of our language to express thoughts to great for words. The other error of others compels us to err in daring to embody in human terms truths which ought to be hidden in the silent veneration of the heart” (De Trin. II, 2 PL 10 51). Finally, we turn to Freeman’s chapter, “Eastern Christianity in the Emergence of the Byzantine Empire.” He wants us to believe that Byzantine Empire (which included much of the Mediterranean West until the 11th century.) and the Orthodox Church (its soul) were intellectually vapid. He might have pointed to the condemnation of John Italus, the philosopher; but he knows nothing of him. He shows not the slightest familiarity with Byzantine architecture (a passing glance at Hagia Sophia), music, iconography, medicine, social welfare, and education and law. He knows nothing about the value of Hellenism to these disciplines. Freeman is profoundly offended that Justinian closed the philosophical school at Athens (529), but we are told barely anything at all about his Legal Code which was to influence the development of jurisprudence, east and west, deep into the Middle Ages. To learn about this and other dimensions of Byzantine culture he could have read Vasiliev, Ostrogorsky, Hussey, etc. If he had read more than the a short essay by Steven Runciman, Freeman might have learned that “so long as Constantinople endured as a free Christian city, its Church remained the most civilized religious organization that the world has so far known” (Byzantine Civilization. New York, 1961, p. 108). The words “theocracy” and “autocracy” flow freely from Freeman’s lips when describing the relation between “church” and “state” in Byzantium. He provides us with no understanding of “sacred monarchy”— which he labels a tyranny. Justinian’s Novel 6 would have informed him otherwise. “The sacerdotium (clergy) and the imperium (government) are the greatest gifts to man from God…The former governs divine matters, the latter presides over and has diligent care of men.” This “symphony” of the Christian commonwealth is often symbolized as a great eagle with two heads, each pointing in a different direction. The entire kingdom is sacred; there was no division, as in modern times, between of secular state and sacred church. The Byzantines, along with the early Church, recognized only a duality between the holy and the profane. At his coronation oath, the emperor swears to defend the Church and her Faith. As the spirit has a necessary primacy over the flesh, so the sacerdotium has moral primacy over the imperium. The Emperor Basil I the Macedonian (867-886) admits as much in his Epanagoge. The Fathers of the Church were quick to remind the emperor that his authority is limited. He may not meddle in theological matters. For example, St John of Damascus reproached the Emperor Leo III, saying, “It is not for the emperor to legislate for the Church” (De imag. 2: 12 PG 94 1296C). Finally, I am curious why the author placed the Council of Chalcedon (451) in this chapter on Eastern Christianity. All the ecumenical Councils were held in the east. Remarkable is his mishandling of the episode, especially the role of St Pope Leo I. Freeman seems confused by the Christology of the Council. He fails to recognize the connection between Christ and the Trinity. There is more that could be said about the Orthodox Church and the Byzantine Empire, but very little to be written if The Closing of the Western Mind is the source of the inquiry. The chapter on this subject is given little treatment. Freeman rather extends those elements to which he devoted so much time in previous chapters, while he writes about “Eastern Christianity” (an oriental form of Roman Catholicism) and the “Byzantine Empire” as anecdotes that confirm his thesis about “faith’s” emasculation of rational thought, of classical culture. If Christianity is not responsible for the smothering of classical culture (and for the decline and fall of the pagan Roman), what explanation is there for it? The marauding Germanic barbarians? Its vast and many wars? Moral corruption? Perhaps, all of these? Freeman does give these alternatives a tumble. To sum up this review of The Closing of the Western Mind, I turn to the judgment of another unbeguiled reviewer, James Hannan. Professor Freeman, he writes, makes “the catastrophic mistake of writing fiction and calling it history. I get the impression that he sincerely regrets the passing of the classical world and cast around for someone to blame. Like many others, he settled on the Christians and set out to write the indictment” (Bede’s Library).